Noah has co-founded, launched and grown numerous technology products and companies in 20 years of entrepreneurship and management of innovation. His is currently on the boards of Armory, Appvance, Bernoulli Health, Estimote, Niantic, Nexenta, Pixalate, Thanx and Universe, and is a board observer of Niantic. Prior to Javelin, Noah directed the enterprise product line for Google’s geospatial products, Google Earth and Google Maps. Prior to Google, Noah held several roles at Keyhole, Inc., the company that created the first Web-hosted 3D digital earth model and was acquired by Google in 2004. Prior to Keyhole, he helped to start two companies in India, including Payback India (acquired by American Express). 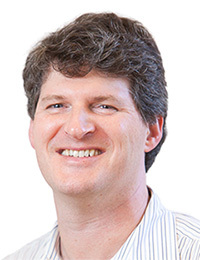 Noah helped establish the Internet loyalty rewards marketplace as a co-founder of MyPoints.com, the largest Internet loyalty program with over 7 million active members, where he led product management and business development functions from the company’s inception through an initial public offering and subsequent acquisition by United Airlines. Prior to MyPoints, Noah was based in Tokyo where he managed overseas sales and marketing for the OEM channel of Panasonic’s graphics communications equipment subsidiary in Japan. Noah also held product management and operations management roles at IBM/Rational (Pure Atria) and Oracle. Noah holds an M.B.A. from the Haas School of Business at Berkeley, and a B.A. in Economics, as well as certificates in Management of Technology and Global Management, from University of California, Berkeley. While at Berkeley, Noah was the chairman of the management board of the University of California, Berkeley’s campus bookstore, a $17 million retail operation. He’s the father of 2 girls.